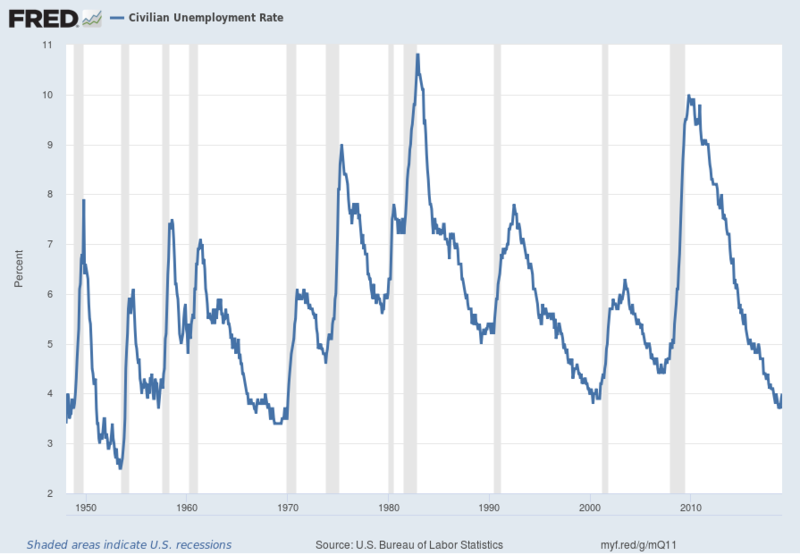 As I have commented previously, as in the October 6, 2009 post (“A Note About Unemployment Statistics”), in my opinion the official methodologies used to measure the various job loss and unemployment statistics do not provide an accurate depiction; they serve to understate the severity of unemployment. 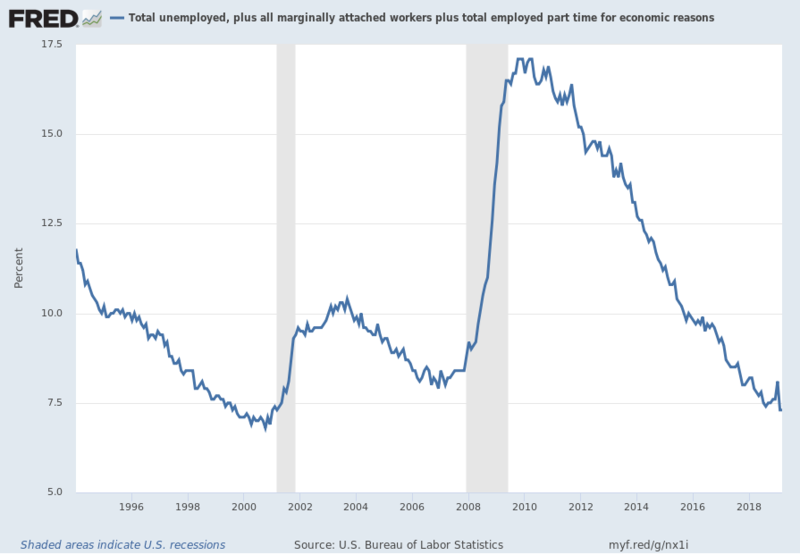 However, even if one chooses to look at the official statistics, the following charts provide an interesting (and disconcerting) long-term perspective of certain aspects of the officially-stated unemployment (and, in the third chart, employment) situation. Our unemployment problem is severe. The underlying dynamics of the current – and especially future – unemployment situation remain exceedingly worrisome. 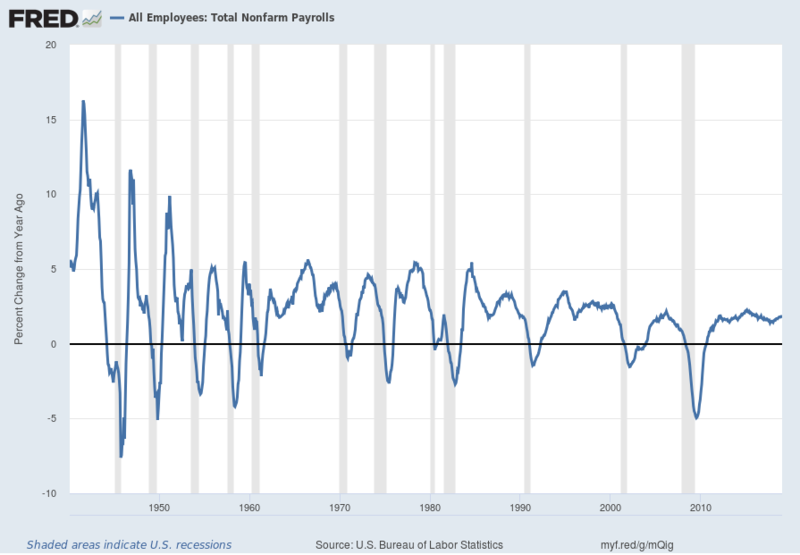 These dynamics are numerous and complex, and greatly lack recognition and understanding. 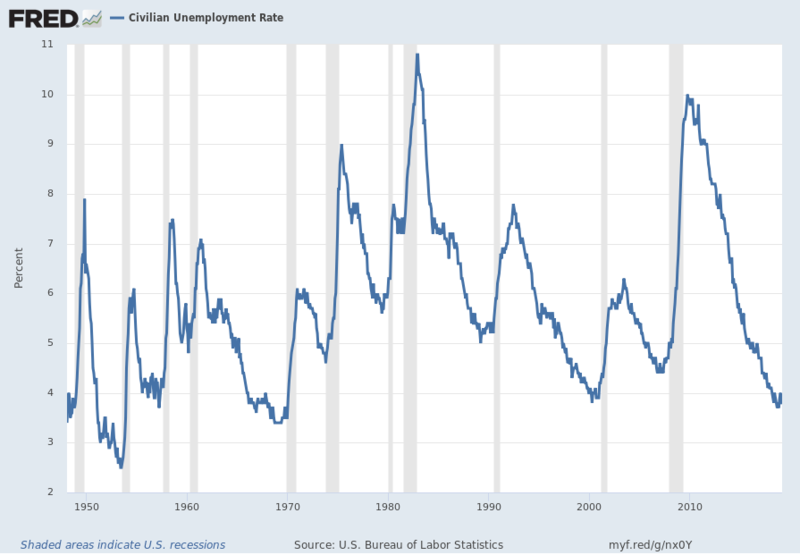 My commentary regarding unemployment is generally found in the “Unemployment” category. This commentary includes the page titled “U.S. 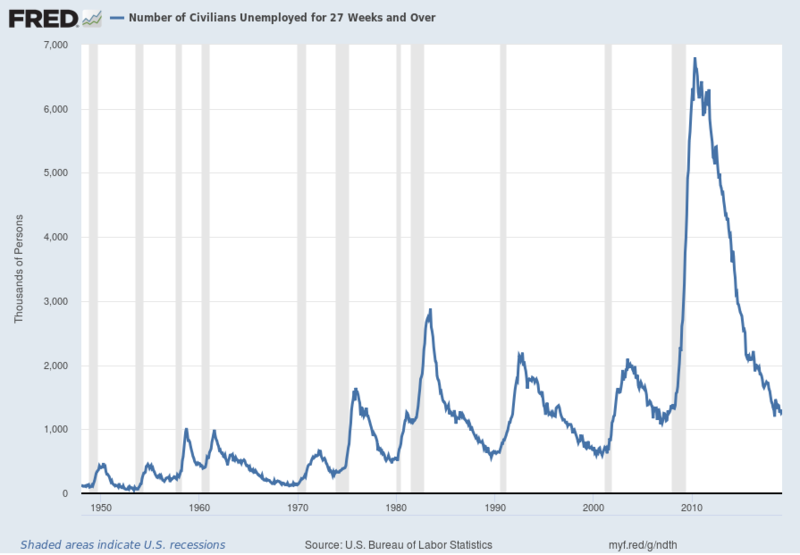 Unemployment Trends,” which discusses various problematical issues concerning the present and future employment situation. This entry was posted in Unemployment and tagged median duration of unemployment on April 5, 2019 by Ted Kavadas. 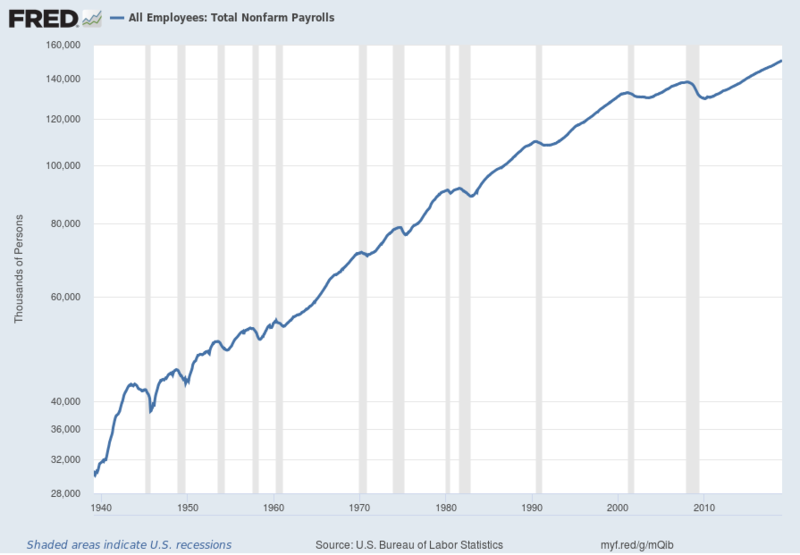 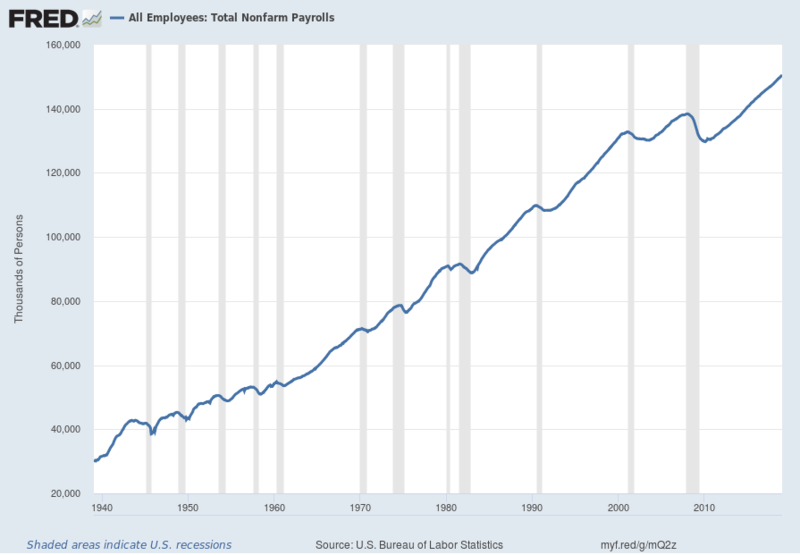 In the November 13, 2013 post (“Not In Labor Force Statistic“) I featured editorial commentary from the Wall Street Journal, as well as an accompanying long-term chart, with regard to the number of people not working. Also, on February 9, 2015 I wrote another post titled “Unemployment And The ‘Not In Labor Force’ Statistic,” in which I discussed various facets of this measure. This entry was posted in Unemployment and tagged Unemployment on March 8, 2019 by Ted Kavadas. This entry was posted in Unemployment and tagged median duration of unemployment on March 8, 2019 by Ted Kavadas. 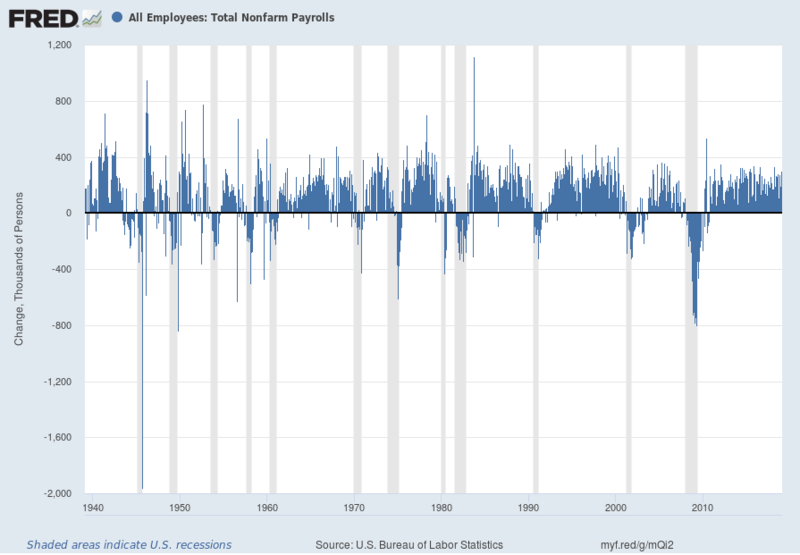 For reference purposes, below are five charts that display growth in payroll employment, as depicted by the Total Nonfarm Payrolls measures (FRED data series PAYEMS). 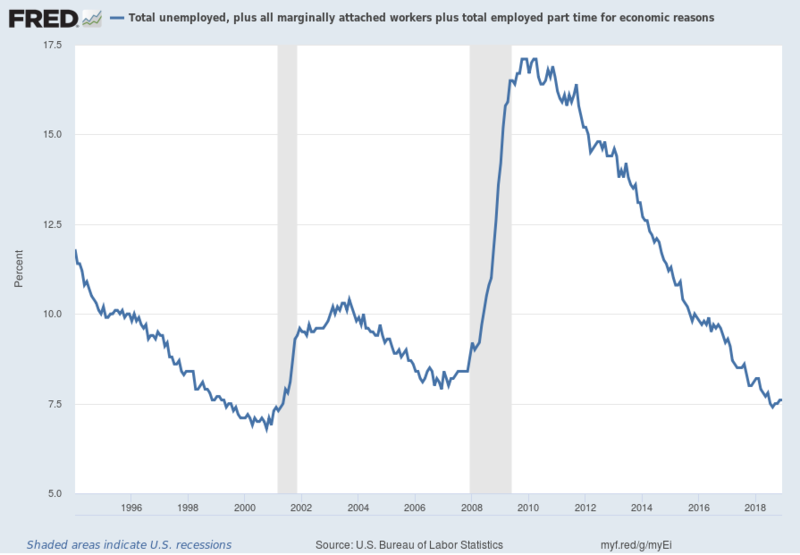 Generally, the U.S. labor force and levels of employment and unemployment are subject to fluctuations due to seasonal changes in weather, major holidays, and the opening and closing of schools. 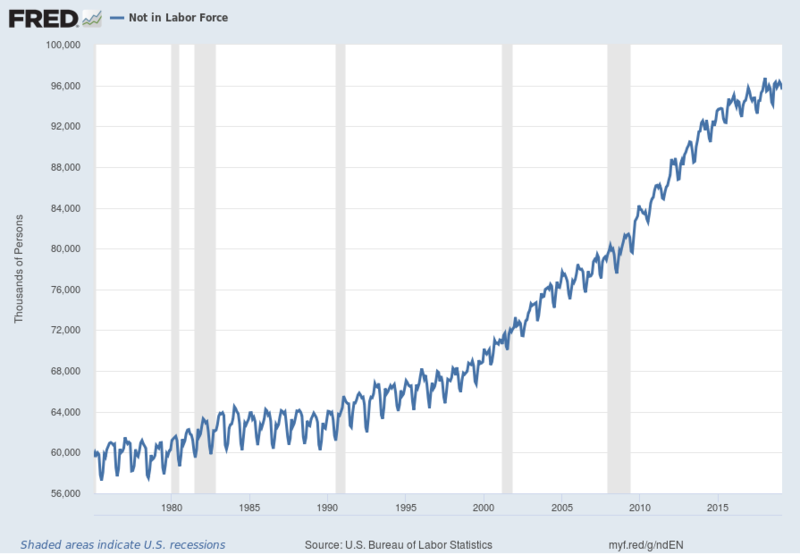 The Bureau of Labor Statistics (BLS) adjusts the data to offset the seasonal effects to show non-seasonal changes: for example, women’s participation in the labor force; or a general decline in the number of employees, a possible indication of a downturn in the economy. 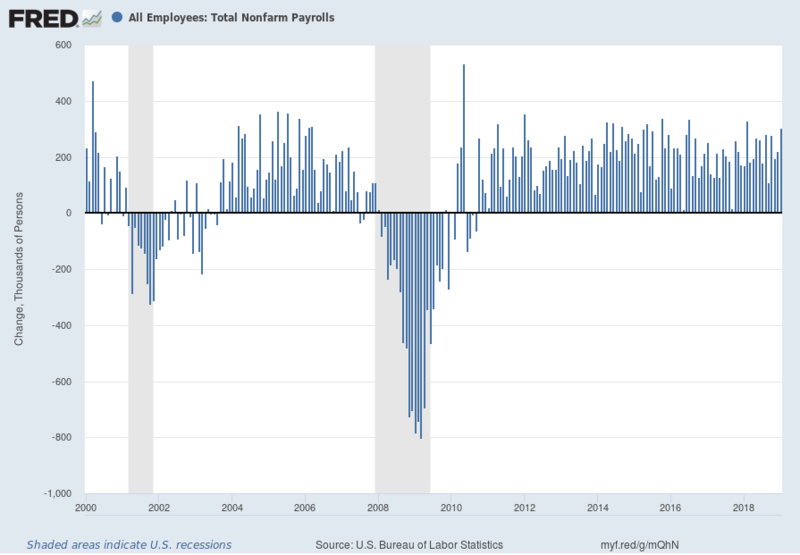 To closely examine seasonal and non-seasonal changes, the BLS releases two monthly statistical measures: the seasonally adjusted All Employees: Total Nonfarm (PAYEMS) and All Employees: Total Nonfarm (PAYNSA), which is not seasonally adjusted. This entry was posted in Unemployment and tagged total nonfarm payrolls on February 1, 2019 by Ted Kavadas. This entry was posted in Unemployment and tagged median duration of unemployment on February 1, 2019 by Ted Kavadas. 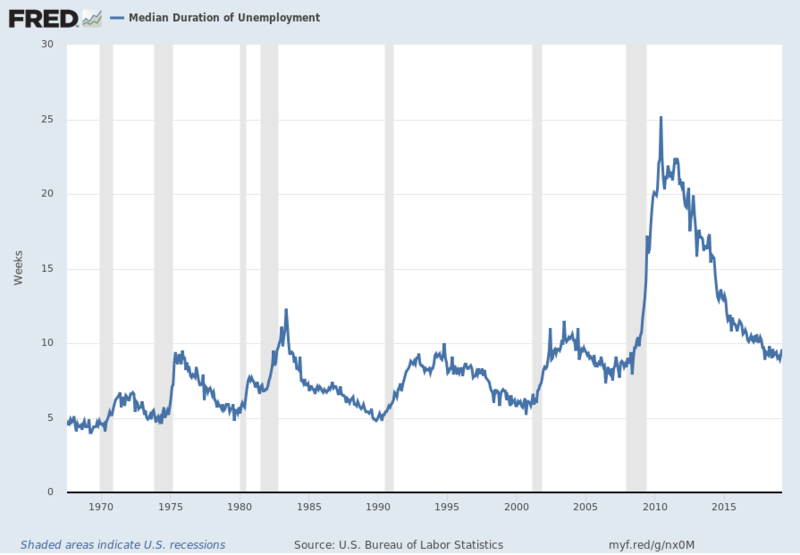 This entry was posted in Unemployment and tagged median duration of unemployment on January 4, 2019 by Ted Kavadas.